Luxury watches. These have proven to be the standard for what good watches should be, even smartwatches, but few smartwatches can live up to the luxury status that older, more traditional smartwatches have had (at least in some minds, anyway). Every new Android Wear smartwatch has been more premium than those before it, simply because manufacturers have figured out that smartwatch users want something that looks as premium, if not more, than the luxury smartwatches out there. 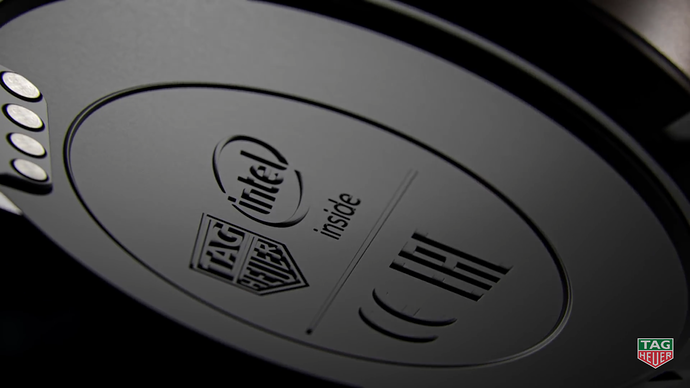 This explains the $400 Huawei Watch, the LG Watch Urbane, and others. 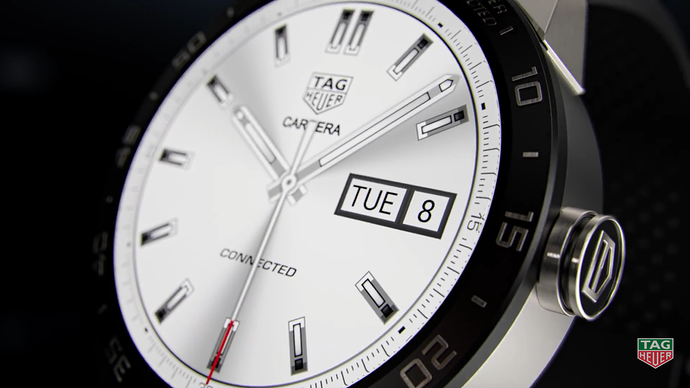 Well, Swiss manufacturer TAG Heuer has been rumored to have a smartwatch in the works for some time, rumored at $1,500. It may sound unbelievable, but the unbelievable has come to pass: TAG announced its new Connected Carrera smartwatch in NYC yesterday. 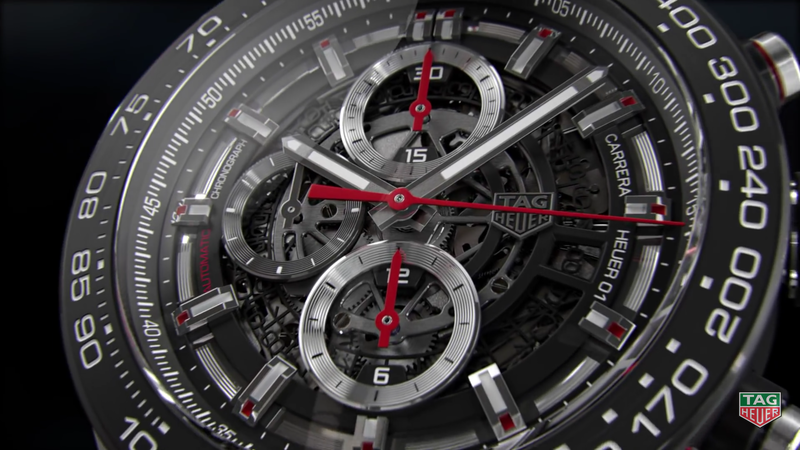 The new smartwatch, called the TAG Heuer Connected Carrera, runs Android Wear, Google’s wearable platform, has a scratch-resistant sapphire crystal display, LTPS (low-temperature poly-silicon) display, 360 x 360p screen resolution (240ppi), a 46mm, black, sandblasted, carbide-coated titanium bezel with anti-fingerprint coating, 3D raised and fine-brushed numerals and titanium lugs, IP67 slash-proof water resistance, titanium push button with the TAG Heuer shield in black carbide coating and transparent resin for protection, a vulcanized rubber strap with grade 2 titanium, microphone, 410mAh battery, Bluetooth 4.1 (BLE), 802.11a/b/g/n Wi-Fi, 2.4Ghz Wi-Fi band (no 5GHz here), a 1.6Ghz, dual-core processor, 1GB of RAM, and 4GB of storage. 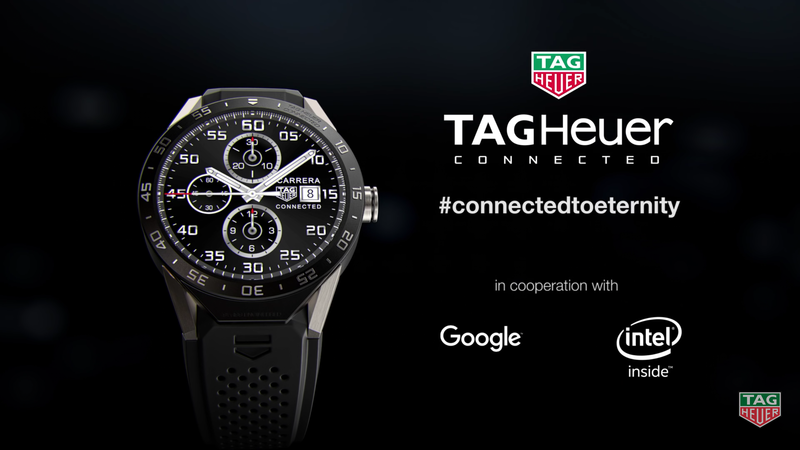 TAG Heuer thanked Google and Intel for their support in this smartwatch project, and Google has done a lot to spread Android Wear outside of Android circles. The company recently opened up Android Wear to iPhone users with its “Android Wear for iOS” app. With that said, however, the TAG Heuer Connected Carrera smartwatch will cost $1,500. When you look at the attention to detail, the titanium used, alongside of the design and TAG Heuer branding on the smartwatch, $1,500 for the first luxury smartwatch is a reasonable price tag. At the same time, however, this smartwatch will be out of reach for those who simply can’t afford it or don’t care to pay that much money for luxury branding. 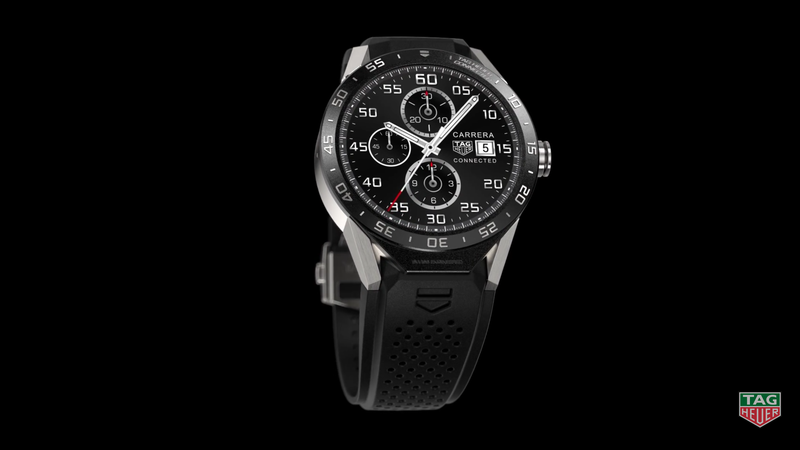 If you’re interested, you can learn more by visiting the TAG Heuer website.